Well hello to you my reader chums! I've somehow blinked and April has just swept by. This year is going beyond fast with events filling up the calendar, over and over again. Its been really exciting so far and I can't wait to see what the next few months bring. Over the past couple of weeks, I haven't had a crazy amount of new favourites items but complied a few things I've been loving. Here are my April favourites.. If you're a regular reader on my blog then you'd know my love for lipsticks, especially berry tones, reds and oranges. I finally got my hands on a Charlotte Tilbury product at Christmas time, the famous 'Glastonberry' lipstick. I haven't mentioned it in a favourites post and I don't know why. The colour is insanely gorgeous, crafted for the perfect dark berry, its creamy consistency glides on the lips and the packaging is to die for. The lasting power isn't the best I've tried, however paired with a lip liner, the lipstick can keep the entire night. Upon application, you can feel how amazing the quality is with a swipe across the lips. 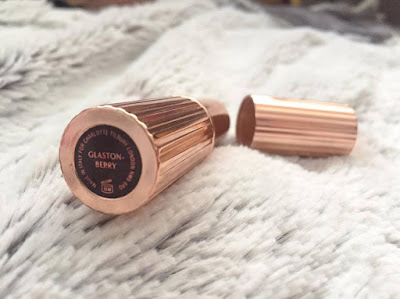 After lusting over this lipstick, I'd love to try out more of Charlotte Tilbury's products! Garnier's micellar water is my go to makeup remover. It takes off every bit of makeup with ease including water proof mascara and heavy eye makeup. As the product is incredibly gentle and contains no perfume, it's ideal for sensitive skin. Somehow, the remover just melts the makeup away as you swipe, only using a cotton pad or two to take off the entire face. I wanted to give the micellar eater an extra shoutout this month as I've been obsessed with the mini version. It's easy and compact to take with you on weekend breaks or longer travels. I couldn't recommend it enough. I'm a bit of an addict when it comes to eye shadow bases. As I have quite oily eye lids, if I don't apply a base before shadow, then my eye makeup won't last long. Which means, I love to test out new bases, whether that's a creamy formulation or a pencil. I think these Revlon bases are quite new to the market as I haven't seen them before. I decided to pick the champagne colour up as you can never have too many neutral bases. The consistency is very smooth, gliding and blending onto the eye with ease. The colour is subtle but enough to add a tad of shimmer to the eye. It's creaminess clings onto additional eye shadows, making them last all night long. I love this base and can't wait to get my hands on more. I never hopped onto the dry shampoo hype mainly because greasy hair wasn't something I suffered with. However, lately I've found on busy days when I haven't had the chance to wash my hair or would like a bit of volume, Batiste has been my go to. When spring time hits, the lighter jackets come out to play. 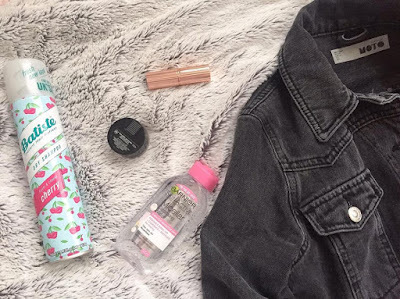 I have a few jackets I love to wear in this season including one of my new additions, the black denim jacket from Topshop. It's one of those pieces you can pair with skirts and dresses for every occasion or even double denim up with black jeans to give a more edgy look. I love the versatility of this jacket and the slight whitewash over it, for a more old school effect. I hope you enjoyed my April favourites. Which products have you been loving this month? 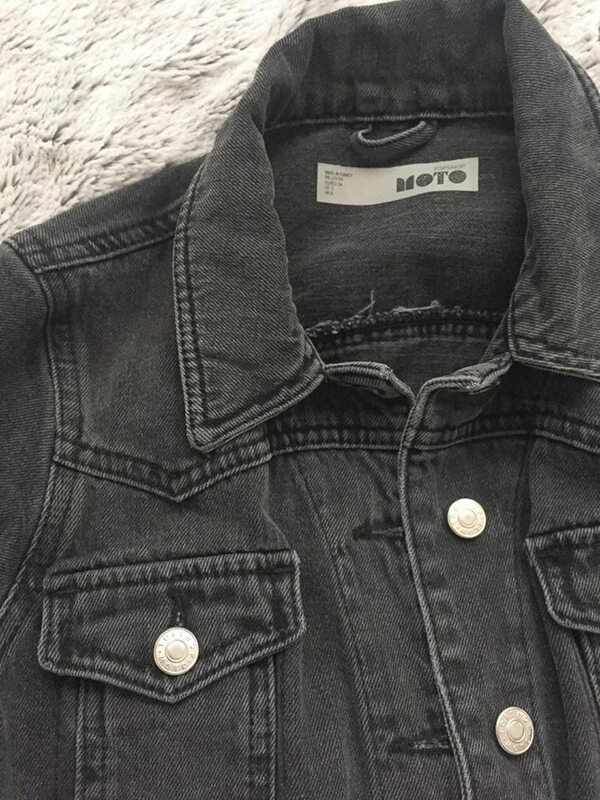 jackets are so cool....love the denim here! 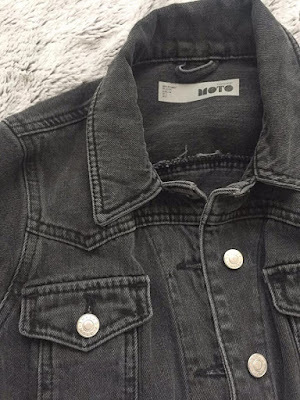 Love the denim jacket! I neeeeed a Charlotte Tilbury lipstick, this one is beautiful! Fab selection of favourites! 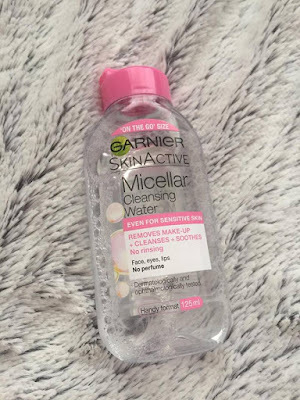 I love the Micellar water! So good for your skin! 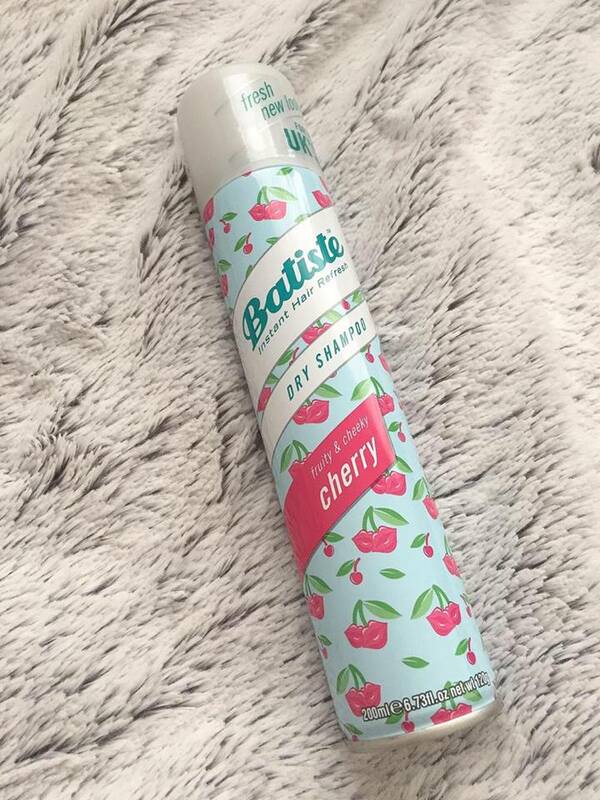 I don't love batiste but the cherry is definitely my all time favourite spray!! 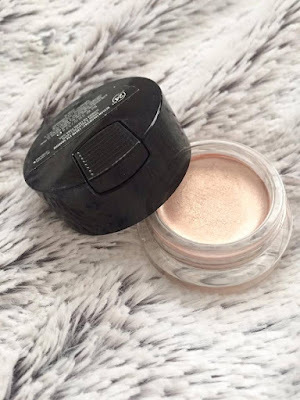 I never knew that cream eyeshadow bases were a thing, but this blog post makes me so tempted to try one out. I'm definitely adding it to my make-up must have's when I next go shopping! I have a bit of a lipstick obsession, too! It's a shame that the staying power isn't the greatest, but that packaging is GORGEOUS! So nice. I got Glastonberry for my birthday recently and it's so lush, so I'm glad to see it on your favourites! Lovely selection, chick! Great post! I honestly don't have many beauty favorites this month, but I've been loving Victorias Secret leggings! I kind of treated myself to a few this month, as well as a new phone case from Velvet Caviar! Great favs! i really wanna try out dry shampoo, I'll have to look into that Batiste dry shampoo you shared! I've been loving clean & clear exfoliant scrub, EOS lip balms, keeping it pretty simple lately, took a big break from makeup, but plan to get back into it every once in a while for occasions! The lipstick looks amazing ! and i love Batiste have you tried there volumiser one its great!